Bored with your current kitchen design? Is the style outdated or just an eyesore? If so then consider using us for all of your kitchen cabinet refinishing and cabinet painting needs in Delray Beach. We can give your entire kitchen a complete makeover within a timely manner and at a price that you can afford. 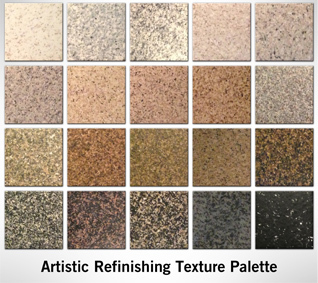 There is no reason to waste thousands of dollars purchasing new cabinets and countertops when we can refinish the existing ones to give an exciting new look and feel to your kitchen. Subtle changes such as choosing a different color and material of the countertops and cabinets can make a huge difference. In addition to giving you a factory fresh look we also will use our hand proven glaze to make them more durable than normal. This will save you tons of money in the future since certain materials tend to chip or become hard to care for overtime, the glaze will help to protect them against normal wear and tear. Kitchen cabinet refinishing and cabinet painting can be applied in just about color that you may want including popular choices such as the granite look or artistic for the more daring homeowner. The kitchen is one of the most important rooms in a home and since it’s used for family dinners, holidays and just spending time together we want you to have the kitchen of your dreams and are here to deliver just that. You will have several options to choose from and can also check out a lot of our previous work so you can be 100% sure that we are the right fit for you and your needs. Each customer has their own specific needs, wants and budget which is why we have professionals that can handle any job regardless of how big or small that it might be. For those clients in the Delray Beach area that are in need of a kitchen remodel we can help the job done within a timely manner. We are available to review all of your needs and give you a 100% accurate quote on what the entire job would cost, the timeframe for completion, and answer any questions that you may have about the design and task at hand. Get a Free Quote on Cabinet Painting and Refinishing Today! We are here to help those in the Delray Beach with all of their kitchen cabinet refinishing and cabinet painting needs, so if you are looking to make a change contact us today. Our professionals are ready to help you get the process started and make you the envy of the neighborhood.